Research suggests corals on the Great Barrier Reef were more resilient to the 2017 heatwave than the 2016 heatwave, even though it was hotter and longer. Experts say it is evidence that the reef has a ‘memory’, which means the outcome of any heatwave is influenced by previous heat events. The authors say that it is no longer feasible to fully understand the consequence of an individual heatwave in isolation, and that with heatwaves increasing in frequency, it is important to look at how repeat events interact. 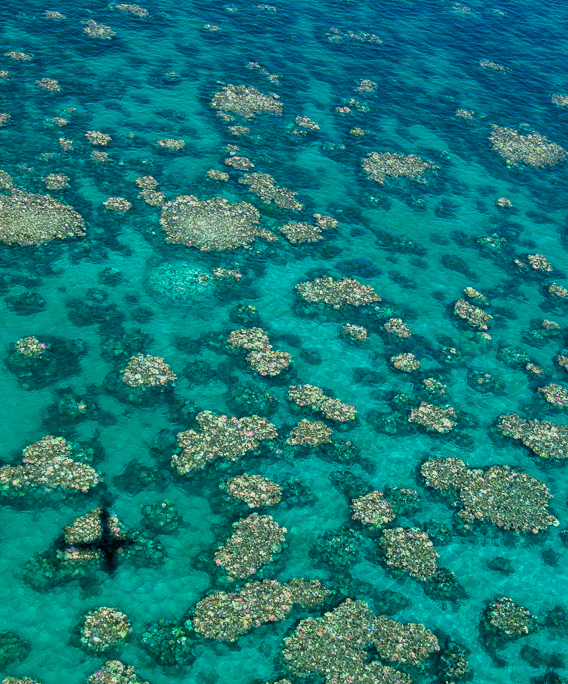 Terry Hughes and colleagues analysed aerial surveys to assess the severity of bleaching in individual reefs along the length of the Great Barrier Reef. They surveyed the severity of coral bleaching on 1,135 reefs in 2016, and 742 in 2016, with 606 surveyed in both years. The authors combined these data with satellite-based temperature measurements of the entire Great Barrier Reef, which showed that 2017 had hotter or longer-lasting summer sea-surface temperatures on around 80 per cent of the individual reefs compared to the previous year. The authors then used a generalised linear model to show that the corals were more resistant to bleaching in 2017 than the year before. Between the two events, severe bleaching affected two-thirds of the world’s largest reef system. The ecological memory of the 2016 heat wave, despite exposure to higher temperatures in 2017, demonstrates that studying individual events may be insufficient for understanding climate impacts. With climate-driven events increasing in frequency, it is imperative to examine the interactions of successive disturbances, the authors conclude.